Home Projects and Programs Programs and Tours Did you know that Arlington Cemetery was not the first national cemetery? Did you know that Arlington Cemetery was not the first national cemetery? 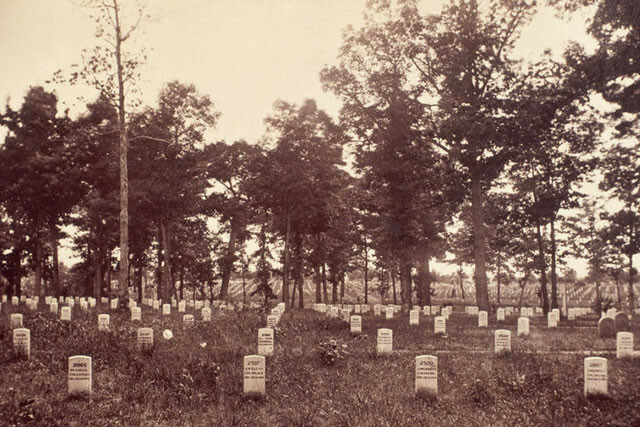 During the Civil War, the unprecedented number of deaths of soldiers resulted in efforts to respect and honor the men, who had died far from home. 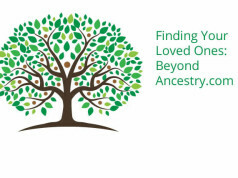 Thousands of known and unknown were hastily buried in shallow graves on the battlefields. In July 1862, the US Congress authorized President Lincoln to purchase land for the establishment of cemeteries for those who died fighting in behalf of the US. 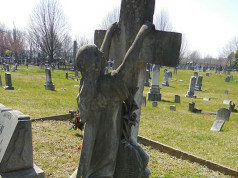 As a result, fourteen national cemeteries were created. In 1864, Quartermaster General Montgomery Meigs established Arlington National Cemetery on the Custis- Lee Mansion property. Through the years, governments and communities have established cemeteries to honor both Union and Confederate soldiers. 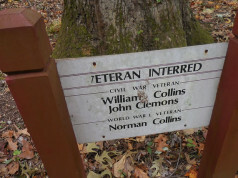 Through a power point presentation, the Fairfax County Cemetery Preservation Association (FCCPA) shares this story and how the FCCPA honors Civil War veterans through an honor roll and database on its own website. Organizations may request members of the FCCPA to present the approximate hour long program at one of their own meetings.